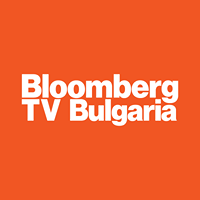 Business TV Channel / Bloomberg TV Bulgaria is a Bulgarian television channel with economic focus, launched on 19 October 2015. The television is part of Bloomberg's international channel group and is owned by Investor TV Ltd., a subsidiary of Investor.BG AD of Holding Varna, which also includes the national TV channel Bulgaria ON AIR (launched in the place of MSAT TV, magazines and radio stations of the same name, and Alpha Radio, as well as the online Investor Media Group, which includes the Investor.bg, Today.bg, Imoti.net, Puls.bg, and others. The channel focuses on economic and financial news, market information, and interviews and business analyzes from Bulgaria and the world. The television also broadcasts original Bloomberg Television productions, including success stories, documentaries and economic broadcasts. Presents news from the markets in daily direct contact with journalists, experts and analysts at Bloomberg in London, New York, Hong Kong, Tokyo and others.